THANK YOU TO EVERYONE THAT CAME! We hope you all had a wonderful time and we hope to see you next year November 9th - November 11th 2018. Become a Member to receive discounted member tickets. 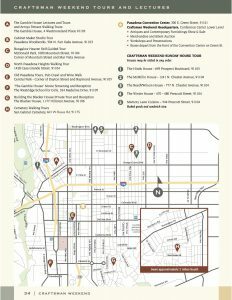 Membership in Pasadena Heritage supports projects and programs that further the cause of historic preservation. Join when you place your Craftsman Weekend ticket order and take full advantage of member rates. Become a member today. Tickets may be purchased by ordering online, calling Pasadena Heritage, or visiting our office Monday through Friday from 9:00 am to 5:00 pm beginning September 7, 2017. 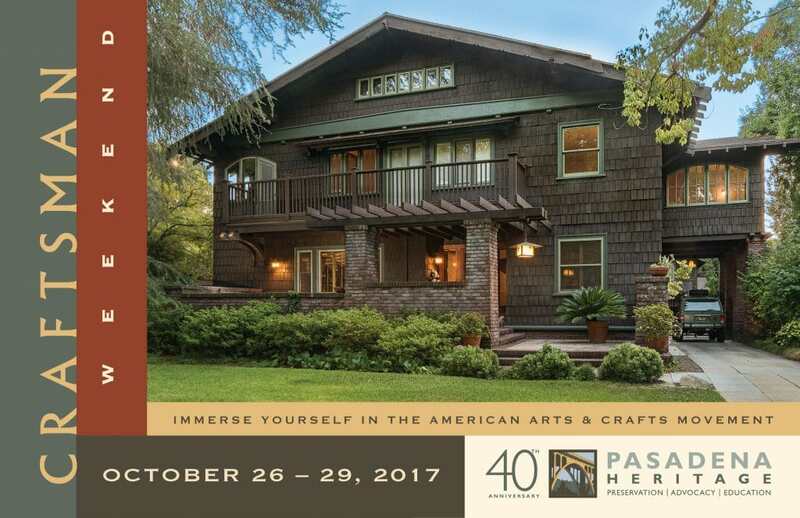 All events at the Pasadena Convention Center are accessible; however, tours of private residences and bus and walking tours are not. For questions regarding accessibility, please call Pasadena Heritage. CALENDAR OF EVENTS - See the calendar on the side of this page for a list of all events happening on each day.